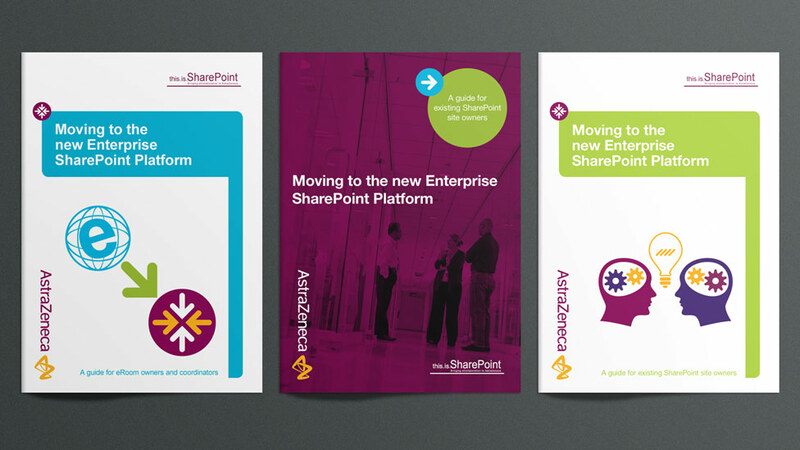 The pharmaceutical giant AstraZeneca implemented Microsoft SharePoint into their company systems and needed to educate their employees about the software with the use of SharePoint handbook design which formed part of their eLearning toolkit. The SharePoint handbook design was very text heavy so it was decided to punctuate the copy with the use of screenshots to help break up the body copy and provide visual references for the reader. The distinctive covers help differentiate the various themes covered within the design and set the materials apart from others produced at AstraZeneca while still remaining true to the corporate guidelines. The SharePoint handbook design was delivered to the client as digital PDF files to reduce costs and make worldwide distribution more cost effective. This H&S manual was designed to encourage business leaders to challenge safety issues rather than ignore them. Our print design team opted for an approachable down-to-earth tone, and the fresh brand colour scheme ensures it is clear and appealing.